Azumabashi is the leader of a rival school gang known as the Four Great Ones of Sumida. 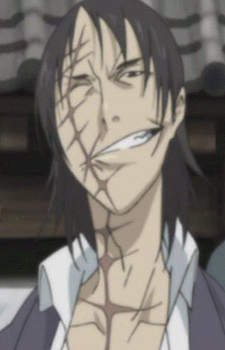 The badly scarred thug calls out Kyouichi Houraiji during class in the introduction episode, and the Great Ones are thoroughly beaten and humiliated by Kyouchi and Tatsuma Hiyuu. Since then, Azumabashi calls Kyouichi "Aniki" (gangster big brother term) and always helps the Magami five out, usually as a chauffeur on his motorcycle or delivery van. He is a nice guy and a typical comic-relief.